One thing that I really enjoy about what I’m doing is that I get to explore new fields and learn to do new things all the time. Sometimes, when someone calls you and asks you if you can do something, you just say, “Yes!” and then, as Garrison Keillor says, you just do it–and if you can’t, at least you know more about it than you did before. That’s what happened to me when Rabia, an author and my sister-in-law, called and asked if I could design a cover for the ebook that she was planning on publishing. Have I ever designed a book cover? Nope, sure haven’t. Do I love to read? Yes, I sure do. So I said, “Yes!” and figured I’d know more about it than I did before. Once upon a time, stories ended happily ever after. Or did they? What if the magic mirror couldn’t decide on the fairest of them all? What if Beauty’s kiss didn’t break the curse? What if choosing a bride based on her shoe size was a bad idea? Shattered: Broken Fairy Tales is a collection of three short stories that take a turn into the dark forest instead of out of it. I so enjoyed the stories, and immediately had a vision of beauty and brokenness together (because seriously, I have always wanted to be Cinderella). The imagery in the stories is so compelling for me that coming up with a concept that Rabia liked happened very easily, and here’s the end result. Honestly, the difficult part of doing this cover was that every retailer needed a completely different size and shape of cover for their preferred format. Once we figure out how to streamline that part, I think I can say that this is something I would happily do again. Need the purchasing link again? 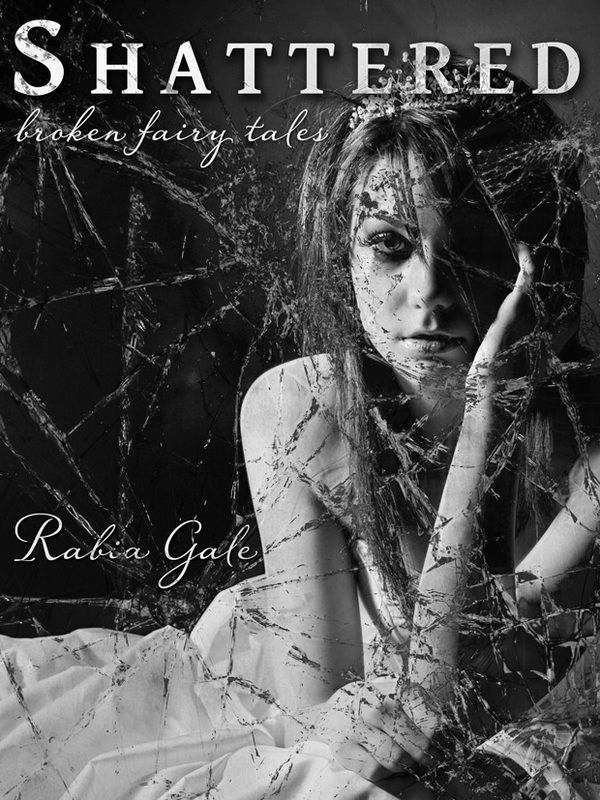 Buy Shattered: Broken Fairy Tales for your Kindle or for your Nook. what a great, great project! You are so talented! What a captivating image!